Welcome to Autism awareness month. Jess the brave style. EACH day of this month excluding April 1st (I was working gotta give a girl a break!) 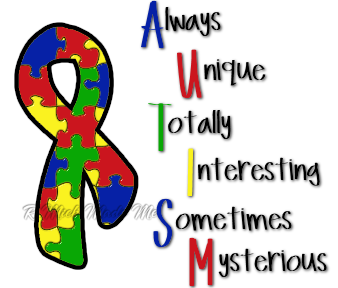 I will posting a blog relating to Autism to raise awareness to a cause close to my heart. So on this day it begins. THE blog will remain blue for the rest of the month in honor of Autism awareness month. DAY 1: WHAT is Autism? 2) It is not a lack of intelligence. 6)It is not a choice. No one really knows what causes autism their are several theories none of which is being covered here. Autism is life long, there is no out growing autism. Though cause is still dubious we do know it is neurological disorder affecting the brain and that the severity and areas effected vary for every individual. There are no two children or adults with Autism that are exactly the same, but they share certain similarities between individuals. 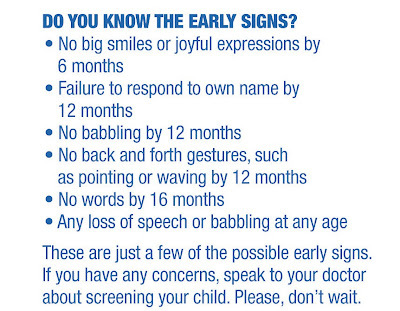 Autism usually presents before the age of three here are some signs your child may be effected by Autism. However there are children and adults who suffer from some but not all Autistic symptoms but do not meet all the criteria to be diagnosed. 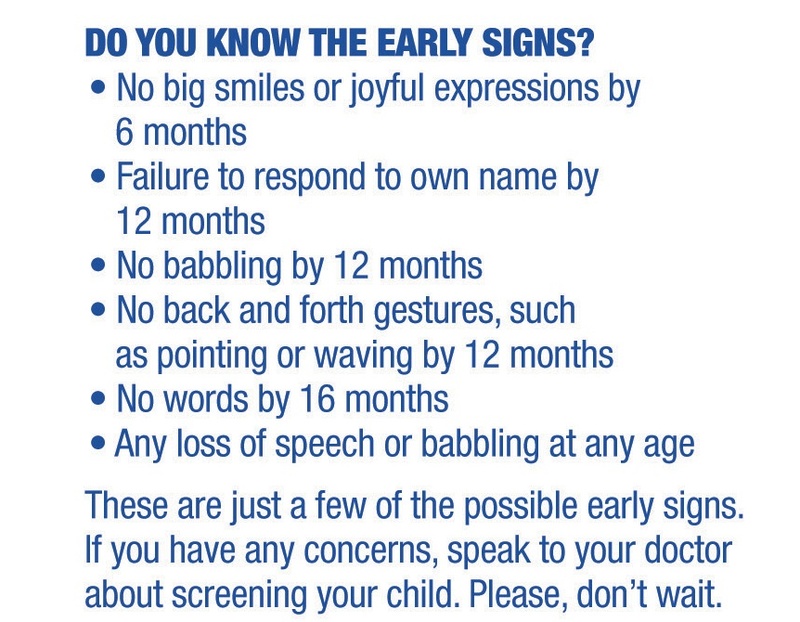 EARLY intervention is KEY. Statistically about 1 and 80 children are affected, boys more so than girls. Autism is a differently wired brain, that sees, hears, and feels things (SOMETIMES intensely) that overwhelms the person. 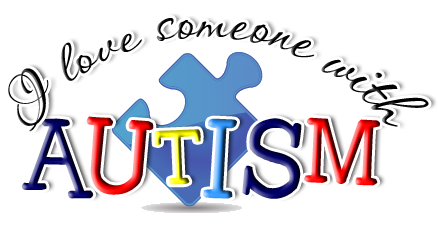 Autistic individuals tend have very specific likes and do not waver from those likes, they often get stuck on one topic. Change is very VERY hard for these children and adults. They may or may not be verbal. THEY are capable of LOVE. Their world is just very, very different. And that is the message I intend instill this month. Though I do not have Autism (I do not have enough traits to qualify) I however am a Educational Assistant. I made a big 360 with my life and went from wanting to be something I wanted to something I felt natural at doing. And that was working with special needs children. There is this moment in time when you stop fighting who your supposed to be. I have had a gift since a young child, I had very few friends and the closest was a young girl with down syndrome. I spent a lot of time with her. and amazed teachers when paired with a young boy with a speech impairment I was able to understand him and help him learn to read. I have always had this connection. This ability. So when I finally finished spending $20,000 plus to find out not only was I not good at university I was on the wrong career path. That summer before I went to college I had started to find words for the differences of the people I spent my time with developmental delay, autism, hearing impaired, visually impaired,cerebral palsy, spina bifida, ADHD, Asperts syndrome, Down Syndrome etc. As always they were all people to me. PEOPLE is who they always will be to me first. Whatever disorder (like me with my disabilties) are a part of me not who I am). 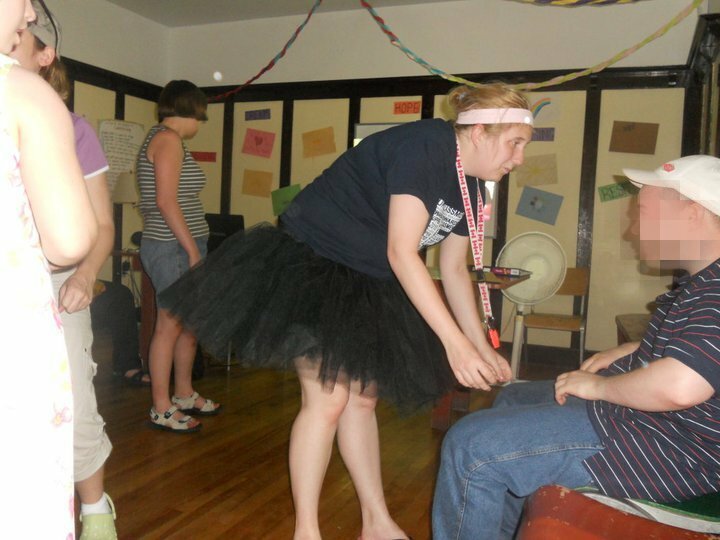 That summer I worked at a summer camp for persons with disabilities. That summer was beyond amazing. It was where I fell in love with some of the sweetest, beautiful, puzzling individuals. Where others got frustrated I thrived. Autism has changed the direction of my life, it has enriched it, it has completed it and it has taught me so much. Each little goal, each hand offered out to be held, each hug, each laugh and each smile has brought sheer joy to me. It has taught me compassion and thinking outside the box is sometimes all you need to. Autism has affected my life and made me a stronger person. Autism has made me aware that the world can be a big scary place and that sometimes we just need someone to help us through. Autism has made my life beautiful. Reminded me life isn't always easy. and given me passion and commitment in my life. Also a love of trains. if you would like to sponsor the Jess the brave team follow this link here to my donation page, the money will stay in our area(a rural area) and give our kids and adults opportunities they may not receive because of where we are located. Also if I reach half of my goal of $400 dolllars I WILL get a Autism awareness Tattoo!